Birmingham-based DCC is one of the UK’s largest providers of workwear, corporate wear and personal protective equipment (PPE) to the security industry. Customers including British Telecom, Geo Amey and Travis Perkins. “My focus is on driving profitable growth. I am confident that DCC can become a £50m business,” said Nick. “We have established a high-quality supply chain that designs and manufactures workwear, PPE and corporate wear that is reliable, practical and innovative. 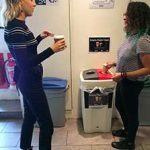 This is in addition to excellent customer service as standard from our talented account management team. DCC operates from a state of the art, 72,000 sq ft headquarters in Oldbury. The business posted a 22 per cent increase in turnover to £26.5m in the year to October 2016 following a series of high-profile contract wins. Over the same period, staff numbers increased from 100 to 120. The company attributed its growth to new contracts with companies including Balfour Beatty and Geo Amey alongside increased spend from existing customers. In December 2016, DCC hired Helen Woodall as Head of Purchasing to lead a team of 12 people that manages the company’s extensive worldwide supply chain. Established in 1999, DCC is one of the UK’s leading suppliers of work wear, corporatewear and personal protective equipment (PPE) products. It supplies uniforms to many of the country’s largest businesses. 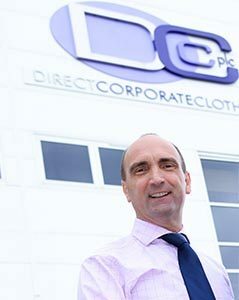 DCC is part of a successful, privately-owned business, operating from a state of the art, 72,000 sq ft warehouse and head office in Birmingham. DCC uses CAD technology to ensure garments meet clients’ design requirements and brand identity. It holds customers’ stock requirements to mutually agreed levels to meet full service and delivery expectations. DCC won the Best Bespoke PPE Uniform award at the Professional Clothing Awards 2016, in recognition of its workwear for BT Group. DCC client Compass Group UK and Ireland won the Best Bespoke Workwear Uniform category. DCC was also highly commended for two further entries for BT Group and Morrison Utility Services. In 2016, DCC was named in the Financial Times’ ‘1000 Companies to Inspire Britain’ report.